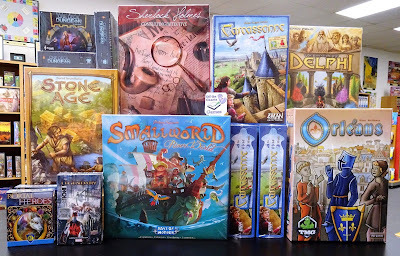 New new new - More games and expansions have arrived. Jack The Ripper & West End Adventures is a reworking of this classic mystery solving game. 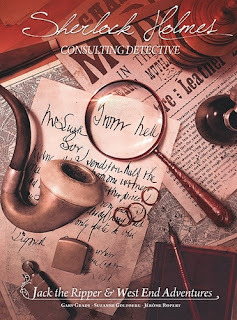 It is a stand-alone game that includes 6 reworked West End Adventure cases and 4 new cases based on the Jack The Ripper murders. Additionally it features all new graphics and 2 maps (Whitechapel & West End). Coal Baron: The Great Card Game is a stand-alone worker placement card game based on the board game, Coal Baron. Immerse yourself in the world of coal mining. Use lorries to extract coal from your pits and load them to wagon trains. 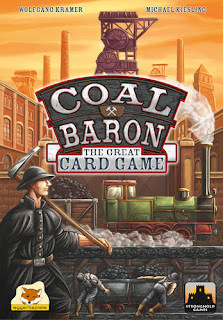 But only if you equip those wagon trains with an engine and an order, will you be able to ship the coal off to gain victory points. This calls for quite some skillful management as you assign tasks to your workers and try to get the most out of your limited loading area. In the end, the winner is the player who has served the most valuable orders and managed to acquire profitable shares and objectives. 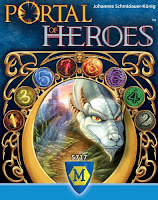 Portal Of Heroes is a fantasy card game for 2 to 5 players. Players will reach into a portal to grab creatures in order to summon them with pearls. Each creature when summoned yields victory points and possibly an immediate ability or an ongoing ability. The game ends when a player collects 12 points worth of creatures. 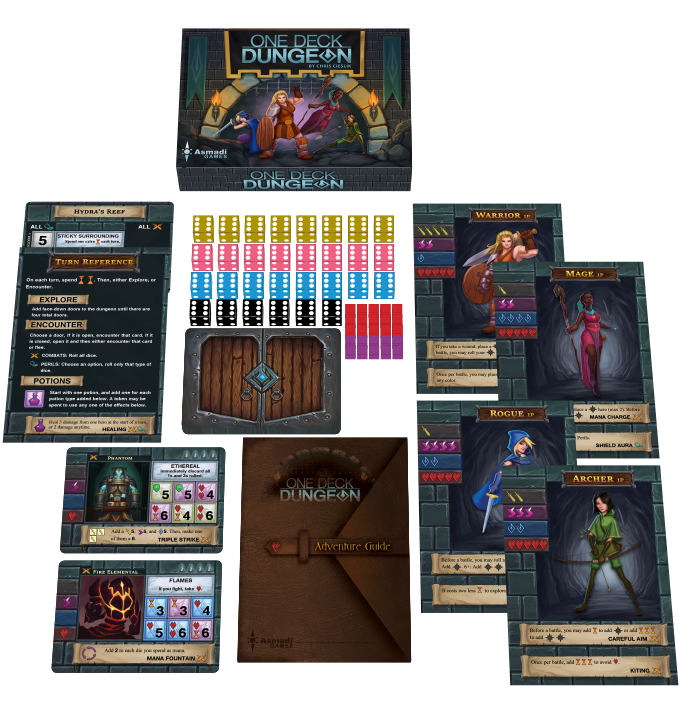 One Deck Dungeon is a 2-player cooperative dungeon crawl card game. 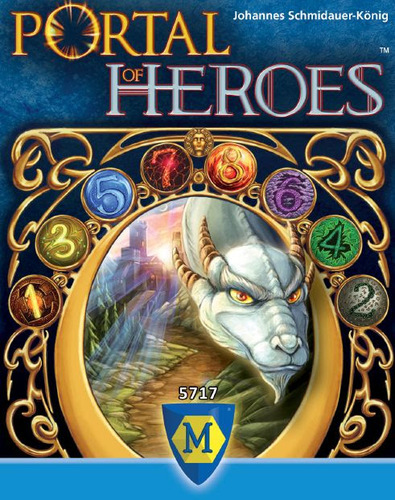 Choose one of five brave heroes to bring on a quest to conquer one of five perilous dungeons. 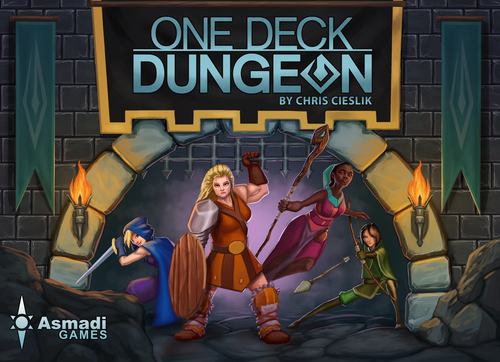 You'll use a mixture of brute force, powerful magic, and swift dexterity to overcome an array of foes and obstacles in your path. Each encounter you survive will give you loot, making you more powerful for the next one! You'll need every bit of strength you can get: the deeper you delve the stronger your opponents will become (and if you reach the bottom, the boss awaits). 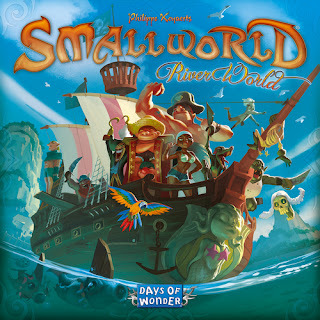 River World is the next expansion to the popular game, Small World. This expansion gives you a new world to conquer. You'll take the race banners, special power badges, markers, victory coins, and the reinforcement die from your Small World game and use them on one of the 4 River World maps. At the start of each turn an event and it's effect will occur. Score extra victory points for each harbor that you occupy. However, watch out for the pirates as they can cost you victory points. Occupy the harbor and you can take the Caravel up river and attack from it. A whole new world awaits. 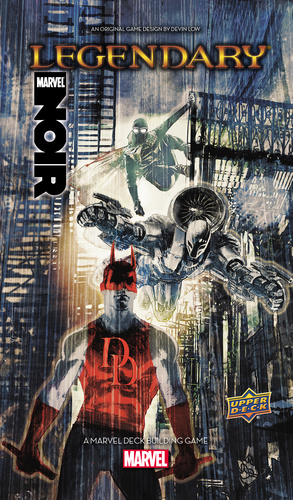 Noir is the latest small box expansion to the cooperative deck-building game, Marvel Legendary. Welcome to an alternative Marvel Universe set in the dark gritty world of hard-knuckled detectives. It’s a grim take on the Roaring Twenties and Depression Thirties with tangled mysteries, flawed Heroes, corruption, betrayal, and moral grey areas. It’s a world immortalized by the Classic Marvel comic series that recasts their Heroes as unique Noir versions. Noir expansion provides 100 new cards consisting of 4 heroes, new villains, new Masterminds, and new schemes. Finally Stone Age is back! 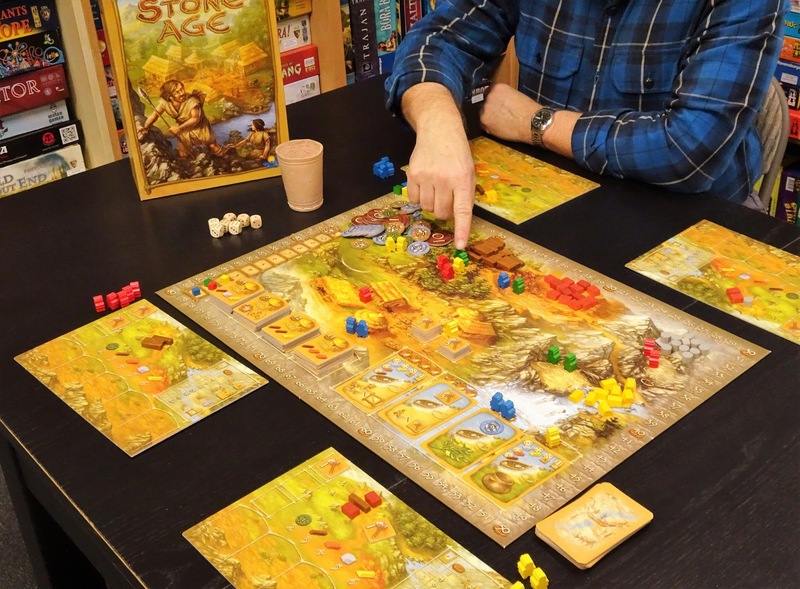 Stone Age is a great worker placement game for those who have not played worker placement games. This is a worker-placing, dice-rolling, don't forget to feed the workers game in a stone age setting. 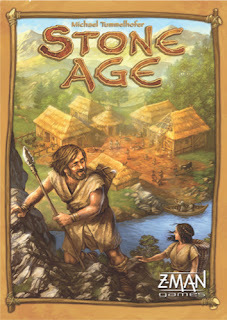 To learn about this game, click here on Game Profile: Stone Age. Finally Carcassonne is also available again. 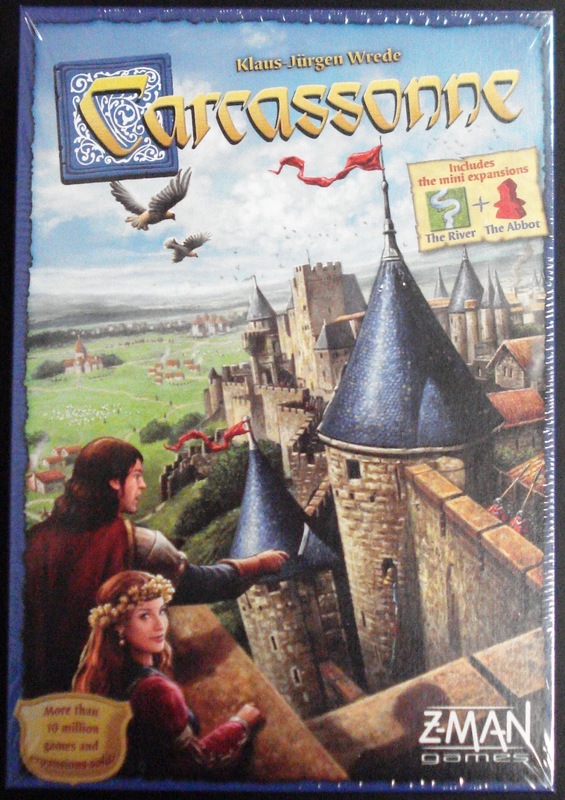 Carcassonne is a simple and clever tile laying game that brings new challenges with every turn. 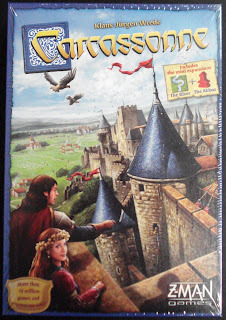 To learn about this game click here on Game Profile: Carcassonne.